Sennheiser PXC310 review | What Hi-Fi? Given the confounding number of headphones Sennheiser currently offers, it's mildly surprising to find these PXC310s are its only on-ear design to fall into this price bracket. They're unique in that they feature active noise-cancelling tech, but in every other respect they're tailor-made for the genre: a light, fold-away, closed-back design with pretensions towards a hi-fi sound. 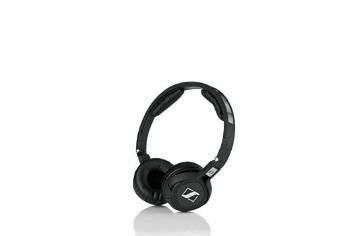 Their tiddly size, low weight and comfortably padded headband and ear-cups make the Sennheisers alluring right from the off. There's a USB-chargeable battery built into the left ear-cup to power the noise cancelling, while the right ear-cup features on/off for the noise-cancelling and a ‘talk-through' button so you can hear the outside world without having to take your headphones off. A song as grown-up and sensible as Nick Lowe's Lately I've Let Things Slide suits the PXC310s down to the ground. Restrained and refined, they're politeness personified – if it's a safety-first approach you're after, the Sennheisers are perfect. They're nicely balanced, with no area of the frequency range given undue prominence, and they describe a carefully separated, easy-to-follow soundstage. The low-frequency punch is friendly rather than mortal, and dynamic variances are rolled off in an effort to cause as little upset as possible. Some recordings, of course, demand a bit of aggression – but the PXC310s are reluctant to get stuck in. Where tonal variance, midrange expressiveness or across-the-board integration are concerned they more than hold their own – but where drive and attack are concerned they'd much rather not get involved.